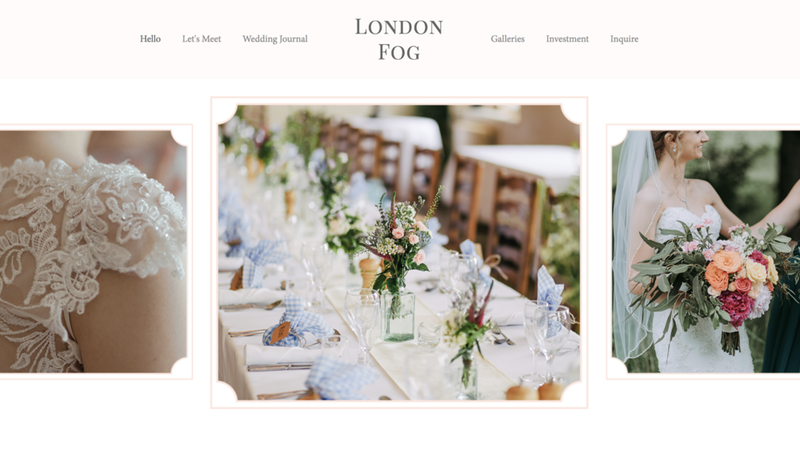 London Fog is a template specifically designed to encourage visitors to inquire. The scalloped detail in this design is inspired by timeless photo albums from the past. The colors and fonts are inspired by modern wedding invitations—soft and elegant. 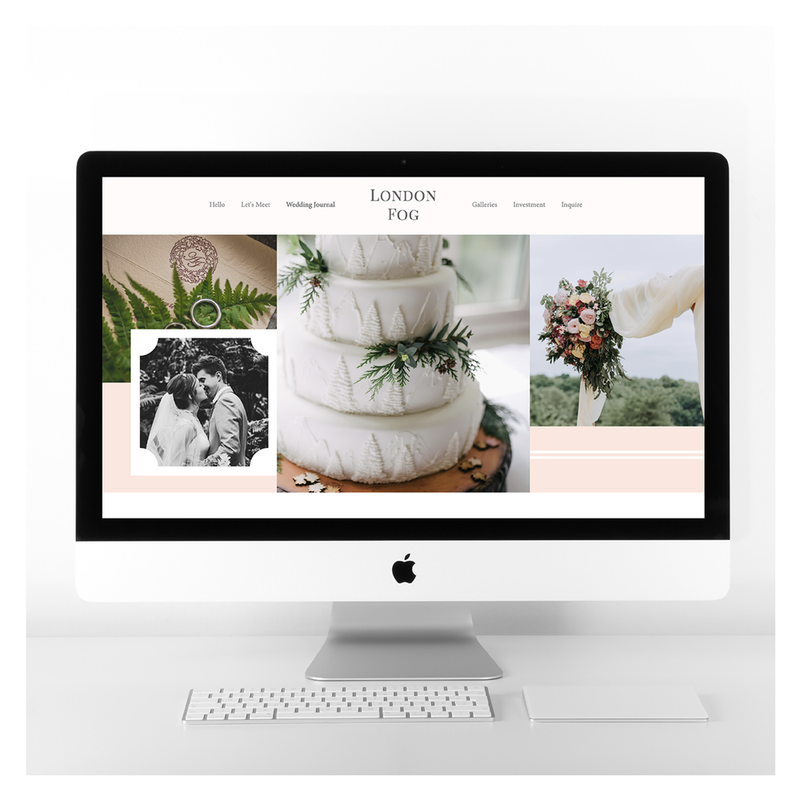 The flow of the website is like that of flipping through a storybook; bring visitors through the journey of imagining their own happily-ever-after. While you can keep everything about this design as-is if you love it, you can also change pretty much anything. It’s very customizable. 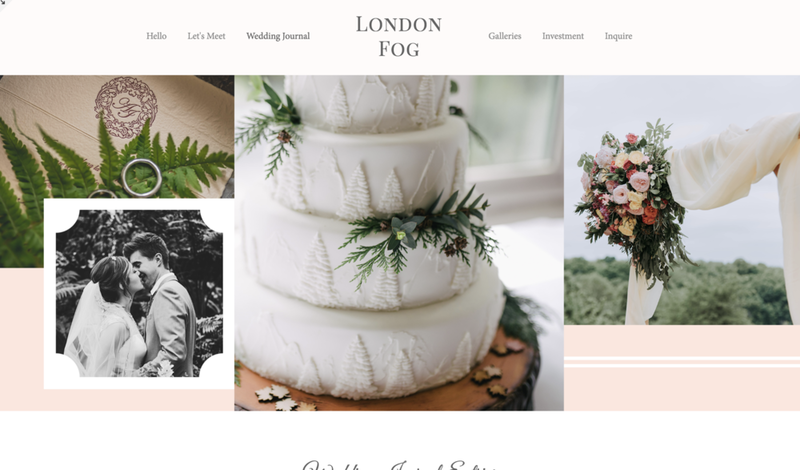 While most downloadable web design templates simply come with files and instructions, like all ATG kits, London Fog comes with everything you need to succeed. 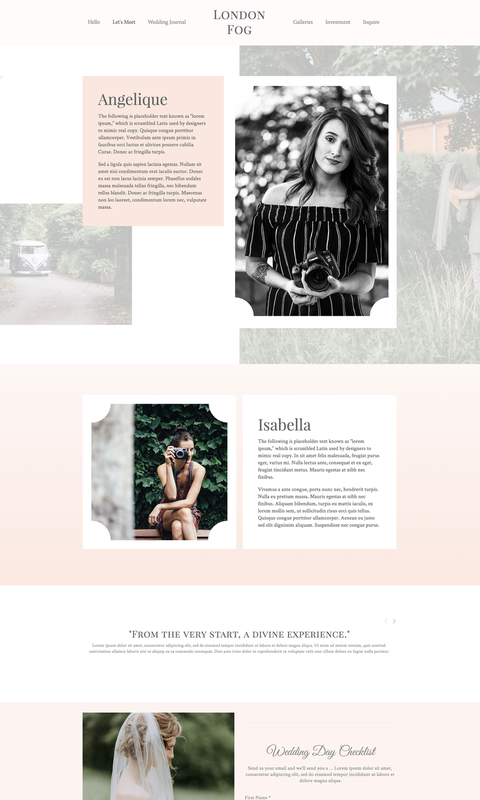 While designed for photographers, this site design is very intuitive and can work for a myriad of industries!